That about sums up my weekend! Saturday was full of Youth Football and then the US National Men’s Soccer team. We had my brother’s family over and I made homemade baked empanadas. Delish! 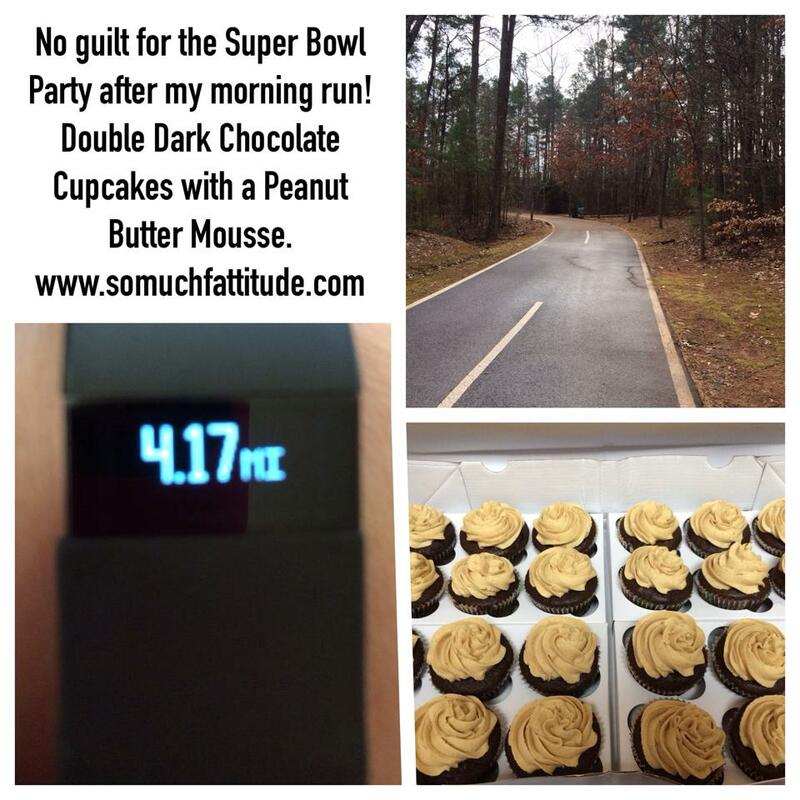 Sunday morning I baked and then went for a run before we attended a Chili Cook-off Super Bowl Party. The difference between last year and this year is really something. I can vividly recall being distraught about the Super Bowl Party we were attending last year because how would I count points? How would I have total control of my food? How would I track every single thing going into my mouth? I didn’t enjoy myself last year because I was so stressed. This year, I had a couple of cups of chili, some tortilla chips and a glass and a half of wine. About half way through my second glass of wine it lost its appeal – so, are you ready for it? I threw it away. WHAT?! There were a million dips and spreads, cookies and candies, hell – even my cupcakes, but none of them sounded good. Guys – don’t forget if you’re not following on FB or twitter you’re missing out! I hear ya on the stress front with events like this. I used to stress, too. This time around I just wasn’t hungry much so it was easy to leave a lot of the food. It feels so much better to be in control without having to be controlling over everything. “It feels so much better to be in control without having to be controlling over everything.” OMG THAT. Wow! You have no idea!